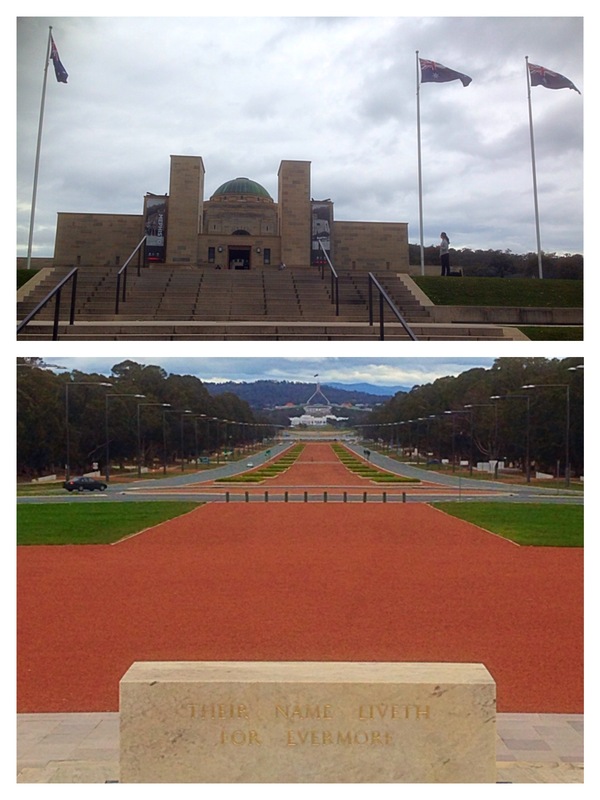 My first trip to Canberra in the Australian Capital Territory, and my final state or territory to visit. Like the terrible tourists that we are, we did no research, except into cool bars and restaurants, and so riding hotel bikes to the Australian War Memorial – via the hipster cafes of Braddon – we had no inkling of the view down ANZAC Parade to Parliament House. It was a definite Look-both-ways moment. The deserted streets of Canberra on a winter Sunday afternoon proved an ideal place for cycling and today was a good day. For the Daily Post photo challenge Today was a good day.